I bought those stuffs from the shop 100 yen Shop Sdn. Bhd which is facing the back portion of Ipoh Parade (Parkson Grand). Any enquiry you can email them at 100yen@dv.com.my. wah so cute!!! how does it work do you put the egg in the mould and put the mould in the boiling water? I may go to Ipoh after all, likely to stay at Regalodge Ipoh which is at Jalan Raja Ekram. Is this place you mentioned (ie Ipoh Parade) near to Regalodge? if it is near enough, may make a trip to the 100 yen shop cause i also like all these cute kitchen stuff. Oh wow! I only saw heart and star ones at Daiso for RM5 each. 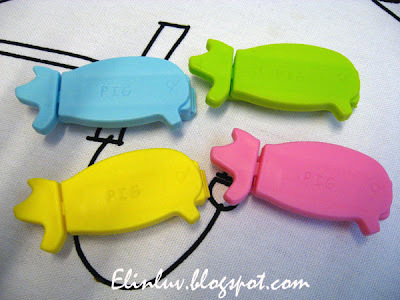 These are definitely more cute! Aww, I want them too! It is very easy to use this egg press. Prepare a hardboil egg. Remove the egg shell and while it is still warm, stand the egg bottom in the mould and press down gently and lock the press. 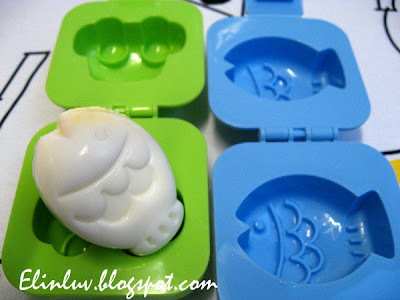 Soak the whole mould with the egg inside in cold water and leave it there for 5 minutes or more. 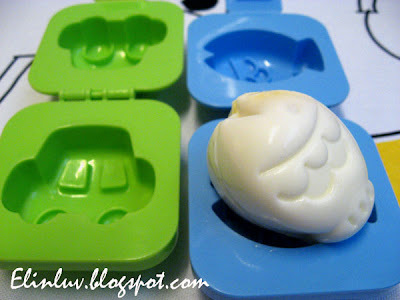 Open the egg press and tada you get the egg in the shape of your mould. I paid RM4.90 for a set of two. Cheaper than Daiso I guess. Good quality too :) They have bunny and bear face too. Will get them when I next go there. That egg press is the most crazy-awesome kitchen thing I have seen in a long time! I just saw car & fish egg molds on EBay. YIPPEE!!! The sellers name is Japan Bargain. @ Val : Hi, thanks for the info..cool they are selling it at e-bay ! 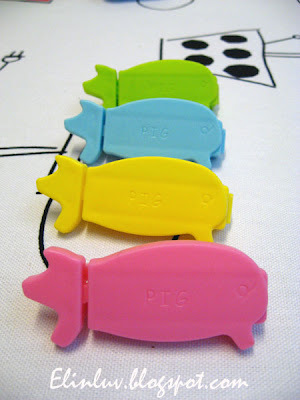 These are just adorable! I am a mold person myself because I make soap. I am sure recipients were ecstatic to see their eggs prepared in this way! I hope we can be friends! 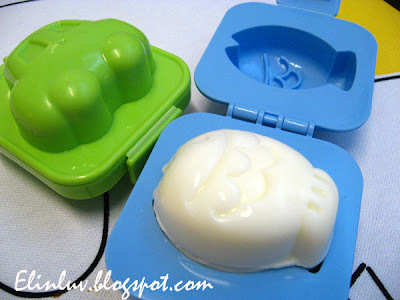 I am so thrill by those egg press..makes the hardboil eggs looks more attractive especially for kids. Now going for more nicer designs...hooked on it like your passion in making soap. You are really talented. Have seen most of the soap you made on your blog. Great work.